It may no longer be the capital but Almaty remains the country’s largest and most populous city and its commercial and cultural heart. A haven for the arts, visit to experience a different culture as well as underexplored landscapes and valleys. The best places to stay in Almaty provide both contemporary chic and traditional wonders. With its tree-lined boulevards and public squares Almaty is strangely reminiscent of a European city. Whilst the shimmering skyscrapers of the financial sector mirror the snow-capped Zailiysky Alatau in the distance, the cacophonous Green Market is a reminder of the old Silk Road.There's a wide range of things to do and see taking in both the modern and ancient. Leafy Panfilov Park is home to Zenkov Cathedral, a functioning Russian Orthodox Church and a prime example of the religious diversity of this city. A couple of hours at the Arasan Baths, considered one of the best in Central Asia, is a less exertive way to experience the city. At 1,100m above sea level the Kok-Tobe provides panoramic views of the city below. Keen mountaineers might wish to attempt the Khan Tengri Expedition, four-week trek for advanced climbers only. Whilst the trails around the crystal clear Kolsai Lakes are more suited to fledgling hikers. Horse riding and kayaking is also popular here. Visit in winter months for skiing at Shymbulak resort, a favourite of wealthy Kazaks. Our pick of the best places to stay in Almaty are all centrally located and offer excellent bases for exploring this fascinating city. For a feel of the old world (on the outside anyway), book a room at the listed Dostyk Hotel. It's located in the centre of old Almaty in "Gold Square". so perfect for sight seeing. 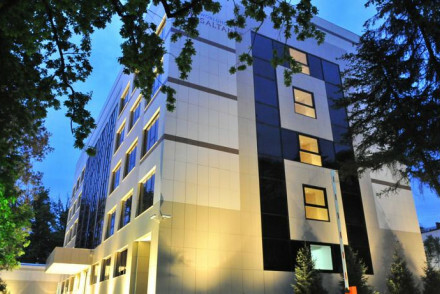 Sixty rooms might not constitute small in most cities, but our recommendations in Almaty don't come any smaller than the Worldhotel Saltanat Almaty. Chic, sleek interiors are the thing here, plus you're very close to the old town's bars and restaurants. 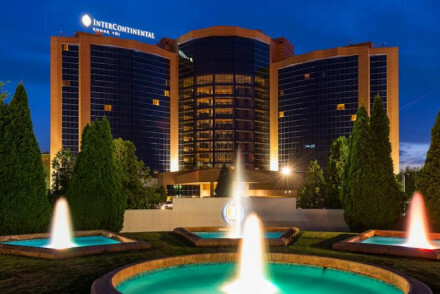 The Intercontinental Almaty is a safe bet whether you're here on business or to sightsee. There's great food, indoor pool, tennis courts and much more! 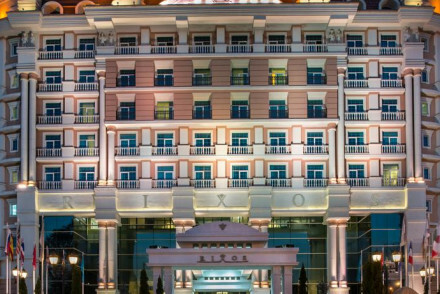 Rixos Almaty offers a luxury stay in the heart of the city. Bedrooms are smart with marble bathrooms and there's a vast spa for pampering. Still not sure which to book? From city to slope, browse though our list of the best places to stay in Almaty to start to plan your trip. Or contact one of our friendly gurus for advice. Renovated in 2010, Saltanat's sleek interiors attract an international crowd. Modern rooms are decorated in neutral palettes with pops of colour, featuring laptops and stylish bathrooms. 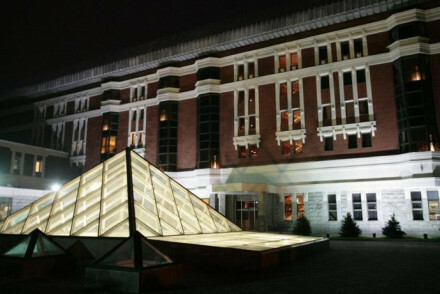 There is a gym and restaurant and you are walking distance from the dining and boutiques of Almaty's 'Old Town'. Local markets - Barakholka market displays trash and treasures from all over the world. Sights nearby - Take the cable car up to Kök-Töbe for views across the city. Listed hotel located on the historic 'Gold Square'. Rooms are contemporary with polished wood floors and brightly upholstered sitting areas featuring large, mosaic tiled bathrooms. Orange restaurant serves gourmet Kazakh cuisine and Bastau Bar fine cocktails. There is a hammam, indoor pool and gym. Local markets - Almaty's largest, green Market has delicious dried fruits and nuts, some less appetising snacks and bargain Chinese goods. Great walks - Meander through leafy Panfilov Park and stop off at Zenkov Cathedral. Sights nearby - Visit the Central Mosque, especially during Call to Prayer. A worldwide name providing unquestionable service. There is a global buffet breakfast and gourmet food at Asian Café, Belvedere and Bosphorus restaurants. There is an indoor pool, tennis courts, hammam and spa. Rooms are classic in style with plushly upholstered furnishings and modern bathrooms. Birdwatching - Kazakhstan is home to golden eagles and they can be seen soaring through the mountain tops. Past the Grand Budapest Hotel exterior this property provides a stately stay. Featuring private balconies rooms are decorated in floral wallpaper, traditional tiled floors and ornate furniture. Marble bathrooms have separate jacuzzi baths and shower. There is a 2200 m² and world cuisine restaurant. Kayaking - With an abundance of lakes near Almaty there are many kayaking and white-water rafting opportunities. Birdwatching - Golden eagles are a prominent sight in Kazakhstan and in rural areas they are used for hunting. Sights nearby - Zenkov Cathedral, located in leafy Panfilov Park is a sunny structure visible form afar.